Wow! Just a few years ago, many on Wall Street were convinced that Pfizer's Exubera was going to be a surefire blockbuster. We all know how that turned out (see here for my chronicling of that business debacle). More recently, the worldwide insulin market leader, Novo Nordisk A/S has tried to temper expectations for their own inhaled insulin product, which the company anticipated bringing to market by 2009 or 2010. In a November 6, 2007 interview with Dow Jones, a Novo executive said the company thought that the AERx iDMS inhaled insulin product it has been developing would be a niche product, not a blockbuster. "We don't think for us it's a blockbuster," Martin Soeters, president of Novo Nordisk's U.S. unit, said on November 6, 2007 at a pharmaceutical industry conference in Philadelphia. Soeters told Dow Jones Newswires that Novo Nordisk has long had lower expectations for AERx than Pfizer had for Exubera. He said inhaled insulin might not be appropriate for use over multiple decades, but rather for shorter-term users such as the elderly or women who have pregnancy-related diabetes. "We think it will be for a certain part of the population," Soeters said. Today, Novo Nordisk announced that based on a detailed analysis of the future prospects for inhaled insulin and a review of the medical and commercial potential of the AERx iDMS inhaled insulin system (AERx) which was licensed from Aradigm Corp., the company has decided to refocus its inhaled insulin activities and discontinue all further development of AERx. The press release noted, however, that the decision to discontinue the development of AERx was NOT due to safety concerns. "We have concluded that fast-acting inhaled insulin in the form it is known today is unlikely to offer significant clinical or convenience benefits over injections of modern insulin with pen devices such as Novo Nordisk's FlexPen®," said Lars Rebien Sørensen, president & CEO of Novo Nordisk. 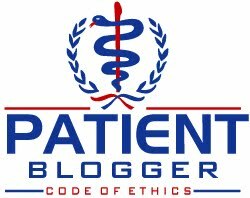 He continued: "In general, people with type 2 diabetes start insulin therapy with long-acting or premixed insulin, and experience shows that they want very simple, very convenient devices for administering their insulin. This requires a completely new approach to inhalation of insulin." 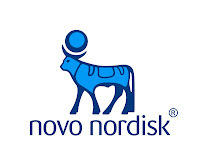 On Tuesday, January 15, 2008, Novo Nordisk will hold a conference call for investors to discuss the withdrawal. Investors will be able to listen in via a link on novonordisk.com found under 'Investors - Download centre'. Because the conference call will be held at 10:00 AM Central European Time, which corresponds to 4:00 AM EDT, I will be tuning into the replay. "Pfizer's decision on Exubera prompted this," said Mads Krogsgaard Thomsen, Novo's chief scientific officer. "We have realized that the trend is for physicians to start treatment with something simple rather than a device that has to be loaded with insulin for each mealtime use." Eli Lilly and Company as well as MannKind Corp. (whose owner, Alfred Mann, remained unusually bullish on the concept in spite of Pfizer's costly failure, see the article here for details) are still proceeding with their own inhaled insulin plans, but when the leader in the insulin market pulls the plug, it raises questions about the commercial viability. While this does not mean the end of inhalable insulin, as fewer players increases the chance of success for those who ARE offering it, it's starting to look like this idea was one of the biggest busts in drug marketing history. The huge problem with Exubera was that it was a bolus insulin that couldn't be dosed to match carb intake. The other big problem probably was greed. They priced their inhaled insulin way beyond other, already way overpriced insulins, which mean that insurers didn't get behind it. The folks in the drug industry have been able to ignore market forces for so long, many of them probably don't know what market forces are. But the company that gets smart and prices a new insulin product LOWER than existing competitors to attract customers will make respectable profits on market share. Scott, how do you feel about the insulin Ora-lyn from Generex Biotechnologies? It is being used in Ecquador and was recently approved for use in India. I would bet that both Pfizer and Novo Nordisk will be watching this oral insulin as a replacement for the failed inhaled insulin. Thanks for your feedback! I that any format which limits the ability to match insulin with the body's physiological need does not represent an improvement. If oral insulin can address that weakness, then it may represent an advancement, particularly for those who avoid insulin because of the way it is administered. As always, the devil is in the details!